Thales and Telstra combine their expertise with a view to building a robust, safe and secure ecosystem that will enable the management of low altitude airspace for manned and unmanned aerial vehicles (UAVs). Thales and Telstra have jointly prototyped a data and communication solution to prepare the way for the integration of manned and unmanned traffic in Australian skies. The massive increase in commercial UAVs, commonly known as drones, will require a totally new way to manage airspace. Digital technology brings opportunities to manage the complexity of integrating drones in our airspace to enable safe access for their users. Thales, the global leader in air traffic management and Telstra, Australia’s best mobile network provider, have combined their expertise with a view to building a robust, safe and secure ecosystem to manage low altitude airspace for manned and unmanned vehicles, such as helicopters, drones and autonomous flying taxis. The ambition is to create a robust digital communications network infrastructure using Telstra’s expertise, to underpin the navigation and surveillance ecosystem needed to safely manage low altitude airspace. Thales and Telstra’s prototype air traffic control platform, called Low Altitude Airspace Management (LAAM) is capable of integrating manned and unmanned traffic, and will include automated drone flight approvals and dynamic airspace management. This collaboration will foster the development and growth of new products, services and innovations. Thales is a global leader in air traffic management with systems deployed in over 140 locations globally. Through its ECOsystem digital platform, Thales is developing the most advanced collaborative airspace management tool for commercial UAVs. With the huge increase in drones in the airspace, flights per day will go from thousands to millions. The challenges are enormous, as are the opportunities. In Australia drone use will drive efficiency and financial benefits to a large proportion of Australian businesses. Thales is partnering with Telstra to contribute to the creation of a seamless sky where we help our customers integrate unmanned aircraft into controlled airspace as well as supporting drone users to perform their missions in an orderly, safe and timely manner. Telstra is playing a strategic role in the development of a future safe and secure drone-based economy through its leadership position in network and data technologies. There are extraordinary opportunities for the widespread take-up of unmanned aerial vehicles in Australia. To unlock this potential, we are investigating how we can leverage our 4G and 5G technology and IoT capabilities to enable robust communications, navigation and monitoring of UAVs. The work we’ve been doing with Thales to build a prototype, which is underpinned by continuous investment in our networks, proves that it is possible for unmanned and manned aerial vehicles to collaborate effectively and safely. Ottawa, CA: Kongsberg Geospatial, an Ottawa-based geospatial visualisation software company, and Aerial Robotix, the leading UAS services provider in Nigeria, announced today that the Kongsberg Geospatial IRIS UAS situational awareness application has been utilized by Aerial Robotix to provide safety critical airspace deconfliction supervised by the Nigerian Civil Aviation Authority (NCAA) to enable conduct of long range BVLOS operations. “IRIS provides an extremely cost-effective solution to deliver airspace situational awareness and significantly improve flight safety”, said Tudor Moss, CTO at Aerial Robotix. FlytBase, Inc. and Skysense, Inc. have just announced a partnership to bring fully-automated, low-cost drone-in-a-box solution to the market and help customers scale their commercial drone deployments. As drone operations continue to grow in 2019, businesses are looking for ways to automate and scale their operations to achieve a greater ROI. The industry is moving towards autonomous BVLOS (beyond the visual line of sight) – remote drone operations and exploring the technologies such as drone in a box (drone docking-stations or hangars) and connectivity over 4G/LTE or 5G. Skysense is a drone charging infrastructure provider leader, supporting autonomous drone programs across different markets, with clients including NASA, GoogleX, General Electric and gov. entities.. Their proven technology and products consist of, the SkysenseDrone Charging Padthat embodies all positive aspects of wired charging and the flexibility of induction systems, and the drone hangar – Skyport, which is designed to recharge and protect drones in harsh environments and remote locations. FlytBase is a pioneer in intelligent drone automation and connectivity software technology. They provide state-of-the-art drone software solutions by leveraging their Internet of Dronestechnology platform. Businesses worldwide are using FlytBase solutions such as BVLOS remote drone connectivity over the internet and the smart precision landing module to automate & scale their drone fleet operations. FlytBase precision landing technology enables drones to autonomously and accurately land on the Skysense Charging Pads and Skyports. Skysense infrastructure securely stores the drones and charges them to prepare for the next autonomous BVLOS mission. The connectivity over 4G/LTE/5G enables the remote drone operators to manage and control a fleet of drones and docking stations in real-time from a distance through the cloud. Subject Matter Experts (SMEs) can see the live status of the fleet, analyse real-time video feed from the drone cameras, access device status, battery and charging data, and make use of advanced drone battery features. Considering the scale and associated cost factor of the drone fleet operations, businesses are keen to use low-cost drones like DJI Mavic Pro, Phantom 4 Pro or the new Mavic 2 Enterprise. Keeping this in mind, FlytBase & Skysense have made their technology compatible with these off-the-shelf drones. This significantly reduces the overall upfront cost of the solution for businesses, significantly improves RoI and helps them scale efficiently. FlytBase & Skysense technologies together are making truly automated BVLOS drone operations a reality. Andrea Puiatti, CEO, Skysense Inc. commented “We have been patiently waiting for the market to mature while we kept improving our solution with the help of NASA and other clients. We are excited about our collaboration with FlytBase, which enables enterprises and privates to immediately benefit from affordable and scalable autonomous drone installations”. Skysense, Inc. provides high power drone charging pad and infrastructure. The incorporation of Skysense’s charging infrastructure offers unique abilities to maintain a ready-fleet of drones and incorporate truly autonomous missions to meet your business and mission needs. Skysense Charging Infrastructure is safe, reliable and has been specifically designed to support autonomous drone operations beyond visual line of sight (BVLOS). Skysense, Inc. is incorporated in Delaware and initially funded by Qualcomm Ventures, Techstars and angel investors. Skysense Inc. has one fully owned subsidiary in Italy, Skysense Italia S.r.l. FlytBase is building world’s first Internet of Drones (IoD) technology and offers software solutions for easy deployment and scaling of intelligent automated drones, connected with cloud-based business applications. FlytBase is compatible with all major drones and hardware platforms. Built-in enterprise-grade security, reliability, and various deployment options make FlytBase a platform of choice for various commercial drone applications. Learn more at https://flytbase.com or by contacting [email protected]. Northwest UAV is hard at work at home, adding manufacturing and office space to their campus as they look to the future of unmanned aircraft systems. Commercial Off-The-Shelf (COTS) solution that virtually eliminates development costs for the OEM, saving customers millions of dollars and several years stuck in the engineering development cycle. Filling a niche in the UAV marketplace, the NW-44 supports aircraft with approximate weights of 40-80 lbs. It is a heavy-duty, reliable, extremely quiet, combat proven engine for the Tier II UAV sector, yet it is still cost competitive with hobby grade systems on a cost-per-flight-hour basis. As the NW-44 Heavy Fuel Engine hits this major milestone of 10,000 combat flight hours and 1000 flights out at the sites, back home, NWUAV continues to evolve, growing its campus to meet not just current, but future needs of the UAS industry. Adding an additional 30,000 sq/ft of facility space to their campus, Northwest UAV is becoming a one-stop-shop for the UAV industry. The design and development effort for the NW-44 defined the way NWUAV approaches engineering projects, as the NW-44 was an internally funded effort, efficiency and speed were mandatory while maintaining high quality. It also helped NWUAV discover gaps in the UAV industry that desperately need to be filled. That’s why NWUAV’s 60,000 sq/ft facility offers dedicated customer services, such as an on-sight machine shop, 3D printing/manufacturing operation, aero/mechanical/electrical engineering services, drafters, technical writers, wire harness production shop, and a fully capable AS9100 production facility all at one location that is DCMA audited. NWUAV has also dedicated up to 15,000 sq/ft of space in the new construction to be divided and isolated for customer-defined efforts to support engine, autopilot or payload integration, as well as new UAS development and volume production. “We know how difficult it is to bring all these services together, which is why we have worked so hard to create this incubator for the UAS industry. Our customers will be able to bring their solutions to market much quicker while spending less on development” said Heather Sorenson, Director of NWUAV. engineering, testing, and manufacturing. Founded in 2005 by President and Owner Chris Harris, NWUAV continues to safely and effectively manage all aspects of product development, from initial concept design through production and beyond to maintenance and overhauls. When you need to get in the air and stay there, count on the team at NWUAV. AS9100/ISO9001 (AS9104-1) Certified, DCAA compliant operation. To ensure safety as more drones take to the skies, NASA has selected Texas and Nevada to host the final phase of a project to develop a drone traffic management system. The space agency has been working on this project with a goal of establishing policies for operating drones safely over populated areas. Lone Star UAS Center for Excellence & Innovation on Texas A&M campus and Nevada Institute for Autonomous Systems in Las Vegas. In Nevada, the flights will take place between March and June and in Texas, they will take flight between July and August. This project is to help the commercial drone industry understand the challenges that arise with flying in an urban environment. The results of the tests will also help to establish future policies and procedures for operating drones and other Unmanned Aircraft Systems (UAS) safely over populated areas. Drones are quickly becoming a more common sight in our skies. They are piloted by a range of users, from amateur enthusiasts to the military. However, their impact on modern life has not always been positive. In 2018, reports of drones at Gatwick airport in England caused huge disruption for travelers, with planes grounded and flights canceled. 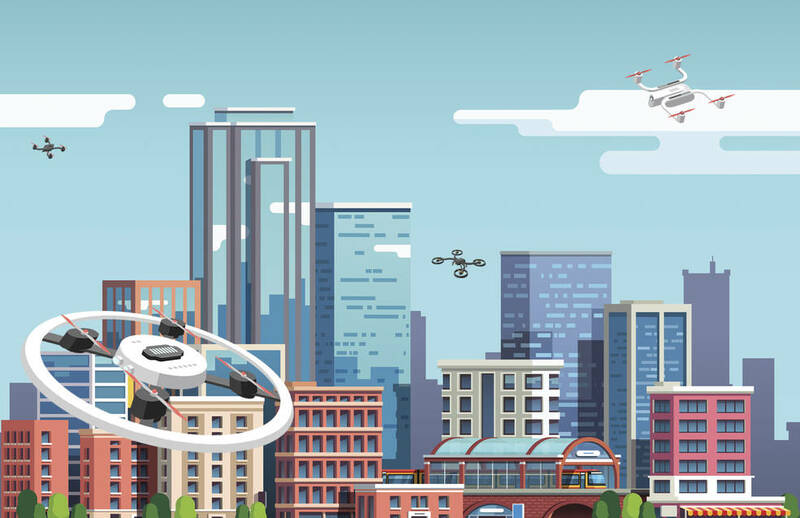 This illustration depicts multiple small drones flying in an urban environment, which will be the scenario for NASA’s last in a series of demonstrations of a system that safely manages drone flight. If this final phase is successful, NASA’s project would help improve the safety of civilians as well as pilots across the United States. It would hopefully lay the foundation for other countries to begin implementing similar drone traffic management systems themselves. NASA is partnering with the Federal Aviation Administration (FAA) to work to demonstrate technologies including an airspace regulator Flight Information management System, UAS Service Supplier interface for multiple independent UAS traffic management service providers and an interface with vehicle integrated detect-and-avoid capabilities, vehicle-to-vehicle communication and collision avoidance, and automated safe landing technologies. This project marks a significant milestone in NASA’s research on drones, as it is the last phase of a four-year initiative and will mean major tests for technology in two highly populated cities. It will be critical to see how drone traffic is managed around tall buildings, statues, and other landmarks in urban areas as well as how the unmanned aircraft interact with each other, hopefully avoiding each other. If this final NASA test is successful, it will give other cities as well as the public and private sectors a better idea for how to manage drones and other things in their skies and usher in a new chapter of urban air travel. 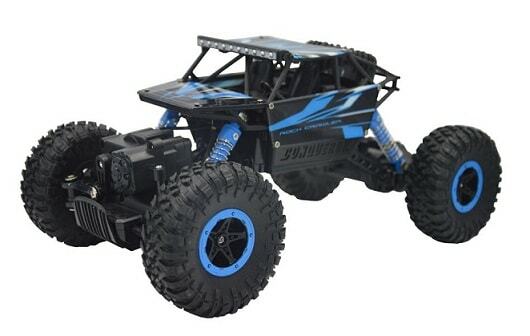 A lot of hobbyists are looking for remote control cars that are big and tough, like the mighty off-road Traxxas models. But some of us just want a small RC car that we can use indoors. If that’s you, you’re in luck, because today we’re looking at the best small, mini, and micro RC cars for sale in 2019. If you’re a relative newcomer to the world of rc cars, you might not know the difference between a small RC car, a mini RC car, and a micro RC car. Indeed, these are fairly loose definitions that even serious hobbyists can’t always agree on. 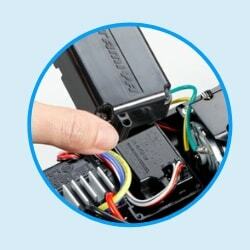 However, we’ve included an FAQ answering this question – and many more questions that come up often when discussing the subject of small remote control cars – below the product reviews. 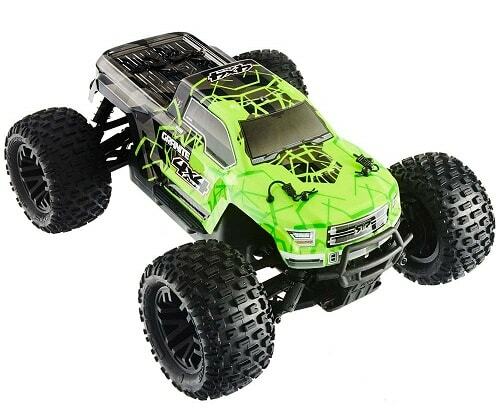 This small hobby grade RC car, manufactured by JJX-Tech, is perfect for buyers who want great performance at a cheap price. 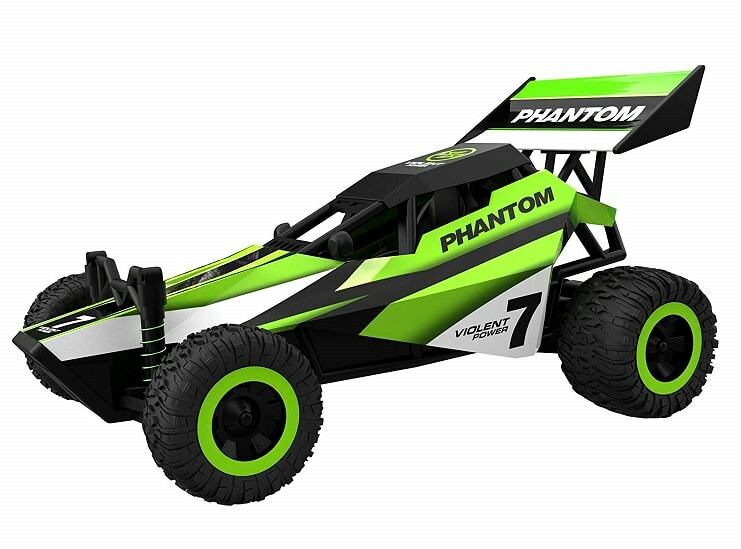 This small remote control car has great skid resistance and full four-wheel drive, so it can be driven indoors, outdoors, and even in some off-road situations. 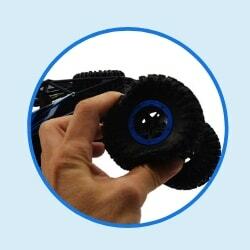 While not necessarily recommended for young children, this small rock crawler is great for beginners. 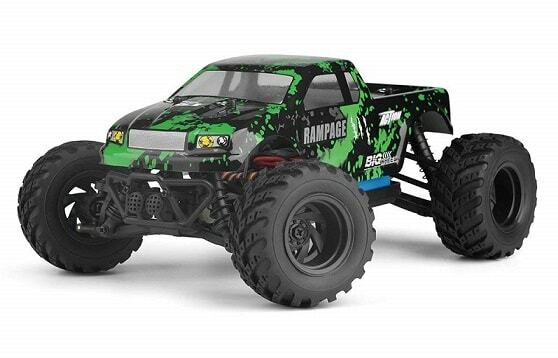 HBX is a well-known and well-respected remote control truck company, and although this particular model is by far the most expensive small RC car on this list, it’s well worth the price for any serious hobbyist interested in a smaller vehicle. 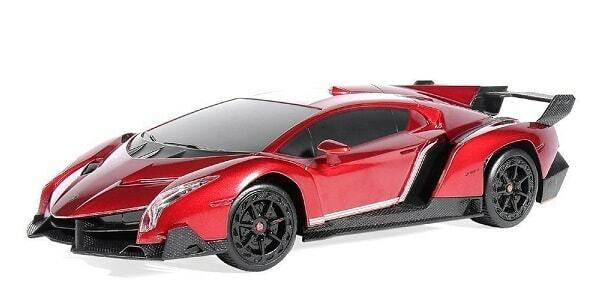 This car is highly durable and quite fast, equipped with a superb brushed RC380 motor. 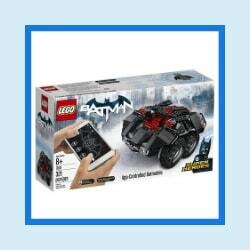 Mini remote control cars are very small RC vehicles that are designed to be used indoors and which may have a camera or other features. 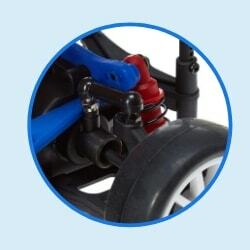 Cheerwing is a popular brand of RC car manufacturer, known for making accessible beginner cars that are great for users of all ages and skill levels. 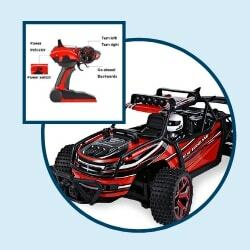 This mini brushless RC car comes with a strong and quality design, high viscosity tires, dual motors, and a top speed of 12 mph. 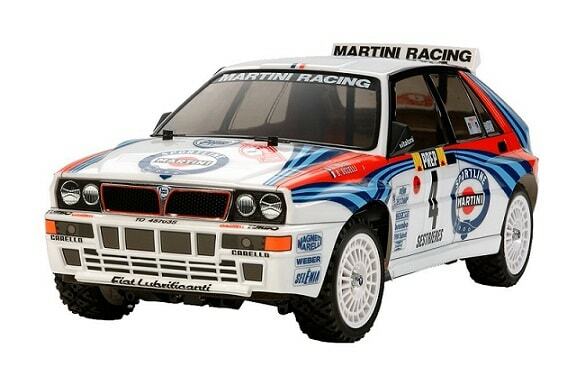 That makes this car one of the fastest mini remote control cars for sale on the market today! 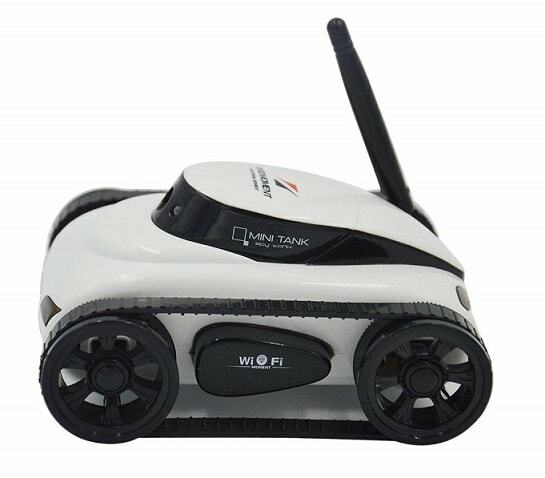 The A-Parts Mini Spy Remote Control Tank Car has a very unique design and is one of the few small remote control cars with camera for sale. The camera itself can take still images or stream live video, and it all looks very nice at a 0.3 megapixel resolution. It also has a solid battery life and is a little smaller than the Cheerwing model. 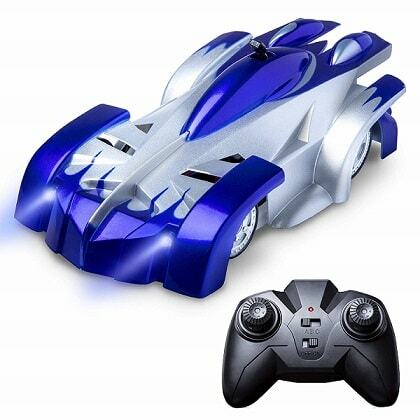 Micro remote control cars are the smallest cars for sale. These tiny RC vehicles can fit in the palm of your hand! 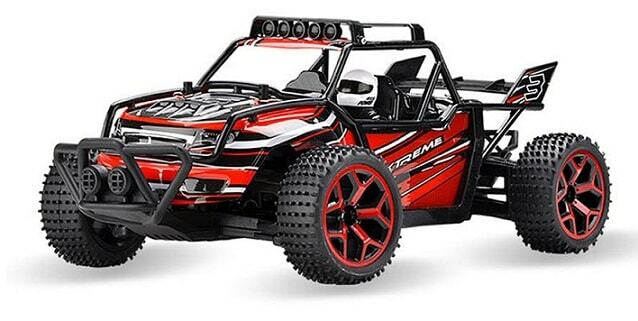 Force1 is an excellent manufacturer of beginner RC vehicles, and their Gravity Defying Rechargeable RC Car is, in our opinion, the best micro RC car for sale. The name refers to the fact that it can drive on the walls or ceiling, which is a neat gimmick, but what really pushes this car across the finish line is its great performance, which includes multiple controller channels and good speed. 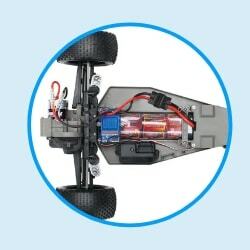 It has a few issues with durability, like all micro RC cars, but even in this area it’s a lot sturdier than most of the other products out there. 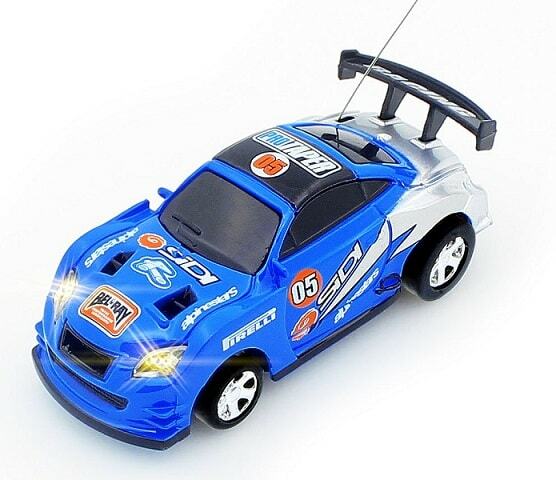 This Ideas In Life brand product – the Baja Racer – is one of the most popular micro RC cars on Amazon. It doesn’t have the most impressive technical specs on the market, but it costs less than 20 dollars, has a great colorful design, and is highly durable. 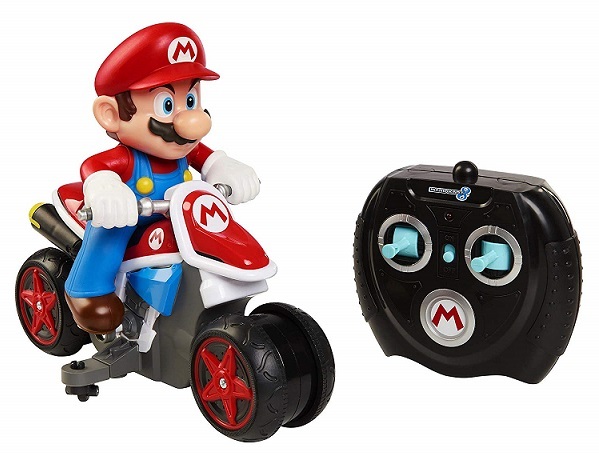 This is the perfect micro RC car for kids or for casual hobbyists. No, that isn’t a typo – the company that makes these micro cars really is called “hoamsj”, with no capitalization. These popular cars have a great and stylish design, as do the cans they come in (which aren’t actually Coke cans, despite the name.) They have decent power, charge quickly, and come with a few toy traffic cones, but mainly what you’re paying for here is the colorful aesthetic. 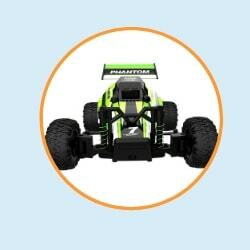 What’s the difference between a mini RC car and micro RC car? 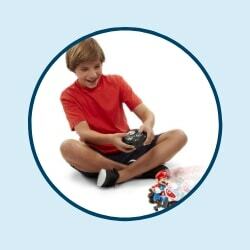 A mini RC car is a small remote control vehicle that can be driven indoors – usually around 1:32 scale at most. 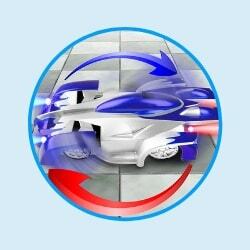 A micro RC car is the tiniest possible remote control vehicle – they can get as small as 1:72 scale. 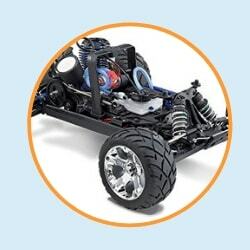 What is the smallest remote control car? According to the Guinness Book of World Records, the smallest remote control car ever made is a 25 millimeter model of a Mercedes Benz. That’s 1/90th the size of the original car. What does RC scale mean? 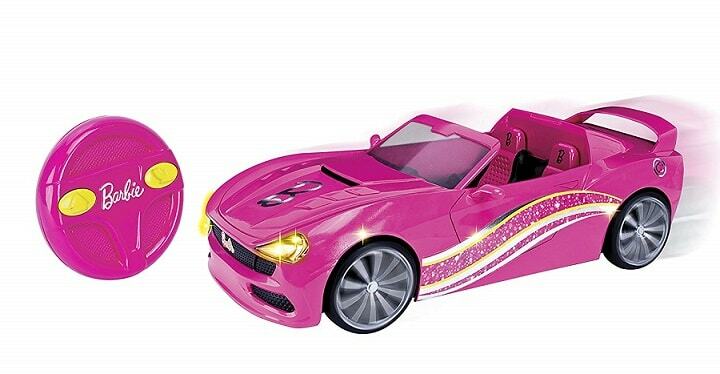 Many small radio controlled cars are modeled after full-size vehicles. The “scale” is the size comparison between the remote control version of the vehicle and the original car. For example, a 1:10 scale RC car (one of the most common scales) is 1/10th the size of the original car it’s modeled after. 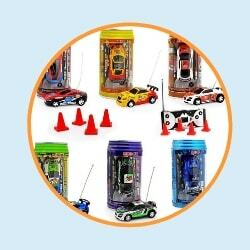 Micro radio controlled cars and mini radio controlled cars usually start at around a 1:32 scale. 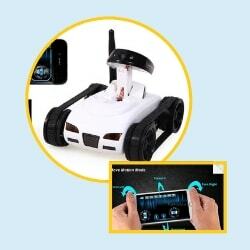 Can you buy small remote control cars with camera? There are a few small remote control cars with camera, but they’re not common, and the cameras aren’t very good. If you’re looking with an RC vehicle with a camera, you’re better off with a drone. 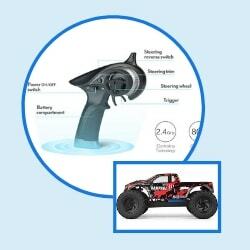 What is the average price of small remote control cars? 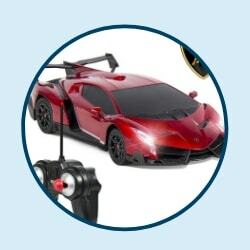 Small remote control cars usually cost 50 to 100 dollars. 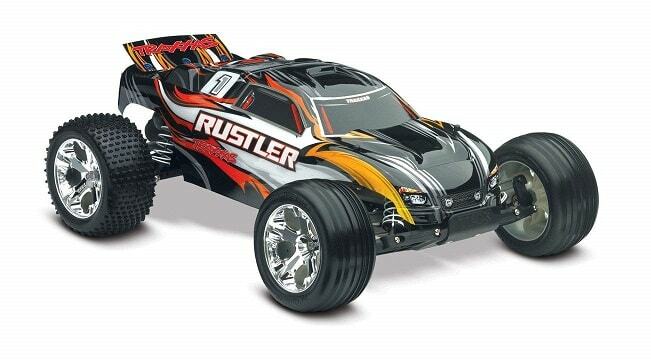 Where to buy mini RC cars? Mini and micro RC cars can be purchased in a brick-and-mortar shop if you happen to live in a big city with niche hobby stores, but they’re usually purchased from an online storefront like Amazon. We’ve provided Amazon affiliate links to every product listed in our reviews above. 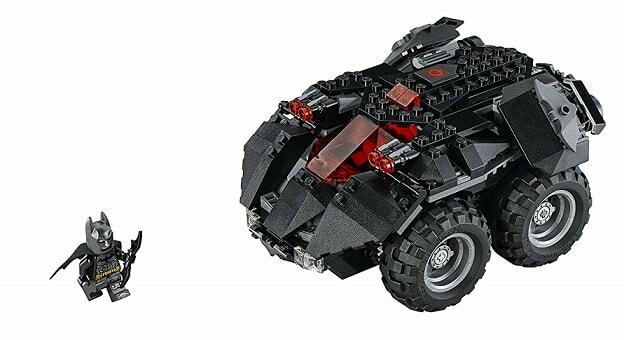 We hope this article has helped you find the best small RC cars, best mini remote control cars, and best micro RC cars for sale. We know that everyone has different needs and desires when they’re shopping for a product like this, so we do our best to help readers find the car that’s perfect for them. If you have a favorite small RC car that we missed, or have a question we didn’t cover in our FAQ, be sure to drop us a line in the comments and we’ll reply as soon as we can. With the end of the DJI X4s camera, drone operators have been looking for a quality mapping camera solution for the Inspire 2 and M200/M210/M210V2 drones. Klau Geomatics has released a Sony camera/PPK payload to offer even better results from these drones. This enables more effective and accurate mapping and inspection using superior quality, plug and play camera payloads with precise 3D positioning accuracy. Sony, leaders in camera technology, have a number of quality cameras, proven to generate high quality mapping from drones. Models such as the RX1r2, a6300 and a5100 all have large sensor, leaf shutters and no moving internals to affect camera calibration. An RX1r2 will cover twice the area of an X4s in each photo, at the same GSD. At 42 megapixels, this is a lot of data in each photo. But it’s not just about megapixels. Selected Sony cameras also produce far better images because of the lens quality and larger sensor. Better depth of field, less noise, high dynamic range and ISO sensitivity. Ultimately this means clearer, sharper pictures with more data in the shadows and less geometrical distortion. More data in each photo means better, more accurate mapping and inspection in less time. Klau Geomatics has custom 2-axis stabilized gimbals for the RX1r2, a6400 and a5100 cameras, with adjustable and programmable camera pitch to move from nadir mapping to oblique inspection modes. These cameras can be supplied with a calibrated, fixed focal-length lens, for accurate mapping without GCPs. A traditional setback for M600 operators with Sony cameras has been how to trigger the camera. The latest KlauPPK systems, compatible with any drone, has smart trigger control functionality, enabling users to trigger the camera based on time or distance. Once the drone moves out of the configurable ‘3D home zone’, the camera will trigger at the user-prescribed distance (or time) interval, until it returns to the zone. The KlauPPK technology is proven to be the most accurate, robust and sophisticated PPK hardware/software system for accurate mapping and inspection projects. This coupled with a quality Sony camera, stabilized gimbal and smart triggering system, provides the most accurate integrated payload on your drone. The new camera payload can be upgraded to KlauPPP, for a simple effective no-base-station solution, anywhere in the world. KlauPPP is the ‘black magic’ of drone positioning. No need to log data or download CORS data, it works wherever you are, regardless of proximity to a base station. An excellent solution for corporate fleets covering large remote areas. Quality Sony cameras, on popular DJI drones, with Klau Geomatics technology: the cost effective,reliable and accurate UAV mapping and inspection solution. Visit www.klauppk.com or contact Klau Geomatics [email protected] for more information. Measure, the leader in enterprise drone services, launches its next generation drone software platform, Ground Control 2.0. In the past year, over 200 companies around the world have leveraged the platform as new features and functions have been added. Today, it is available to the public after upgrading current Ground Control users in January. Measure Ground Control 1.0 was launched last year with an easy-to-use flight application developed specifically for commercial use and a cloud-based web portal where managers could check airspace and view flight logs and data screenshots automatically uploaded from drone missions. A complete list of features can be found at https://www.measure.com/ground-control. AES (www.aes.com), one of the largest energy companies in the world has already been using Ground Control as it scales its own enterprise drone program in 13 countries worldwide. Measure is offering a full access, 30-day free trial to all new users. To sign up, fill out the form at https://www.measure.com/ground-control.